CHANNEL Nine might have made bold moves to end its reputation as a "boys' club", but it's stalking the network as the fallout from the Stefanovic brothers' Uber rant going public continues. The irony is it's not old network alliances and the boys' club which will see Karl survive, it's the fact the network still sees him as their golden boy - albeit a troublesome one they've spent the past year fiercely protecting. As long as he's making them money. Nine's determination to brazen out the bad publicity, and not be seen as responding to external influences calling for Karl's head, will also save him. For now. This is about reputation, perceptions and profits. "When Nine decides their million-dollar-man isn't making them money, that's when they'll desert him. They're not there yet, but they're getting close," one industry source said today. It's called damage control. To move harshly on Karl - even if Nine could or wanted to - would send a public message that the latest ruckus is more than Nine is currently portraying - an ill-advised and unfortunate "schoolboy" whine. It's also called saving face: Nine has to show it made the right choice when it let Lisa Wilkinson walk last year, putting its faith again in Karl as the more valuable talent. 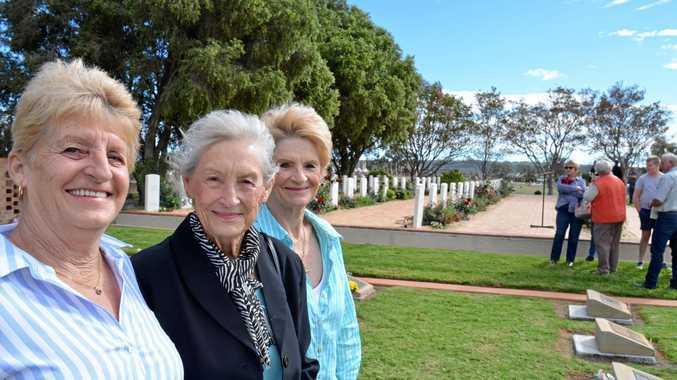 This is bigger than the boys' club which helped Karl rise to Gold Logie winner, and saw former CEO and mate Dave Gyngell negotiate the last contract which made Karl the highest paid man in TV status. If it is still a powerful force at Nine, it will be quickly distancing itself from Karl. And probably squirming that his new female co-host is now the one with the power. 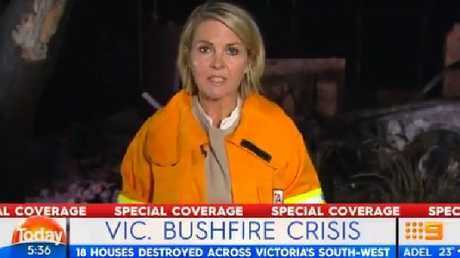 If Georgie Gardner can cope with sitting next to the sidekick the viewing public knows slammed her, insiders say Nine will give her whatever she wants. "Nine has to make this work, after copping the fallout of Lisa leaving," a Nine source said. "Georgie didn't sign up for this, and they worked hard to get her back alongside Karl. They'll be doing absolutely everything they can to keep her happy. They have to." Karl may have labelled her a "wishy-washy fence sitter" who "doesn't have an opinion on anything", but it's safe to say Gardner has an opinion on this one - probably much more longwinded than the word "pathetic" which she dropped on Karl during an ostensibly lighthearted exchange on Monday's program. She had to be convinced to take the job, knowing from previous experience working on Today the animal that was Karl. "Georgie's tough, and knew it was only a matter of time before Karl would again be making himself the story," a Today source said. "Which doesn't make this situation any better." If Gardner was to walk, it would only reinforce the perception brand Karl is protected at any cost. Nine has worked hard to shed its boys' club persona. Nine CEO Hugh Marks - who, perhaps mercifully for the Stefanovics, wasn't mentioned in the Uber rant - detests the label. The network wants to be seen as united, and as the one in charge of the fate of its stars. Nine has invested much in the Stefanovic brand. To sideline either Stefanovic would be an admission the tide had truly turned against them. Nine indicated as much on Sunday, when Karl and Peter's pre-emptive mea culpa apology for the Uber conversation in which Karl bagged his new co-host and Peter said he hated his job, was accompanied by a Nine statement. "Clearly it was schoolboy behaviour between brothers, but that's no excuse. We appreciate their genuine apologies," a Nine spokeswoman said. Nine likely forced the Stefanovic apology in an attempt to take the heat out of the Uber revelations before they were published. Then, in standard operating procedure in the world of publicity, accepted the apology it may well have helped the brothers pen. For now, Nine will try to keep the main players as far away from each other as possible, all the while maintaining a balancing act which presents Gardner and Karl as stable, professional co-hosts on Today. The pair has been together in the studio just once since the Uber rant's existence surfaced more than a week ago - Karl was away all last week after his commitment ceremony to new love Jasmine Yarbrough. On Monday, the day after the public apology, and the day the content of the brothers' discussion surfaced, they presented alongside a somewhat subdued Richard Wilkins, who is reportedly smarting from being discussed by his close mate. Sylvia Jeffreys and husband Peter were out on bushfire duty. Today, Gardner was sent to Tathra to report on the bushfire crisis. Perennial professional Deb Knight, overlooked for the permanent gig alongside Karl, stepped up yet again to co-host. All the regular bodies were there - and then some. Expect that to be the regular shape of Today as Nine hopes the ruckus blows over. "It's all a way of showing Karl is still on place on Today, as is Georgie, while keeping the main players apart as much as possible in the hope this blows over. The message they're trying to put out is 'nothing to see here'," a Nine insider said. You can also expect to see a lot more of Ben Fordham, whose stocks continue to rise to ultimately replace Karl when the time comes. Peter was quickly shipped out to cover the bushfires this week, and it's tipped he will also feel the heat at Nine. He'll be the first to feel the blowback of the brothers' discussion. Appointed to a hosting gig on Weekend Today just weeks ago, the former foreign correspondent can probably expect to be on the road a lot more on other days of the week, doing regular news shifts. As for Karl, network executives might not be falling over themselves to help his cause. In the Uber rant, the brothers described some executives at Nine as people who "didn't know anything and … are out of touch". 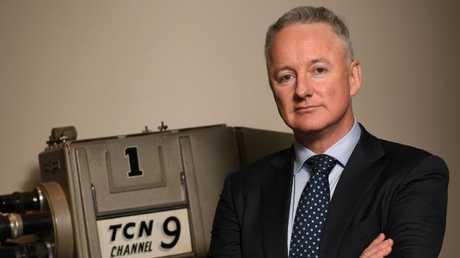 Nine's news director Darren Wick has been a public supporter of Karl's - recently telling TV Tonight: "Today has a good feel about it. Georgie and Karl are settling in really well. "We've had a few changes behind the scenes, with a restructuring of producers. But it feels like it is in the right place at the moment. Everybody is just focused on doing a good show. "Karl is very focused this year and very much with the show, so that helps. The ensemble is working well." 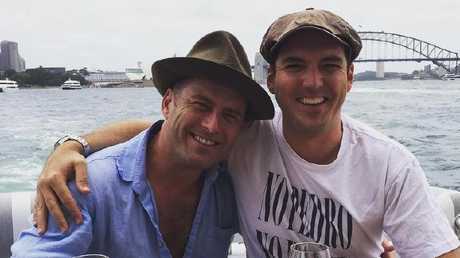 But last week, Nine denied rumours Wick and Karl's Today executive producer Mark Calvert had exchanged heated words as details of the Uber whine began to emerge. It remains to be seen if Karl's much-expressed desire to be a bigger part of 60 Minutes will continue, given he reportedly said the show had "lost its relevance" in recent years. Perhaps Karl's story ideas for 60 Minutes might go the way of his brother's: Peter complained his pitches to the show were met with a lack of interest. Meanwhile, Nine bosses will hope, yet again, their star can revert to broadcasting and debating headlines. Not making them.